As you may have already figured out if you've been reading my material here for a while, one of my many disparate (and largely irrelevant in the face of my studies!) 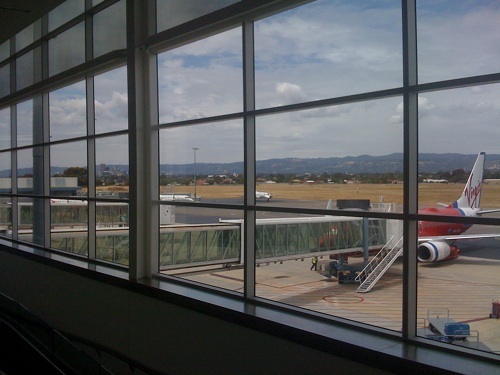 interests is commercial aviation, specifically modern commercial jetliners. Well technically they're not jetliners because they use turbofans not turbojets. You can tell turbofan equipped airliners from their jetliner counterparts by checking to see if the airliner has fans. Brought to you by the department of redundant information department. With all the ballooning costs for research, development, labour and materials for both Boeing and Airbus — as well as the all the constant delays — you wouldn't think it would be possible for another manufacturer to make any profits let anyone break even. Brazil's Embraer though has managed to target specific segments of the market and make huge profits; their E-Jets are now in service with such airlines as Air Canada, Finnair, KLM and JetBlue. I belabour all this to share some images I took with the not-so-crash-hot camera in my iPhone while seeing my sister off at the airport yesterday. 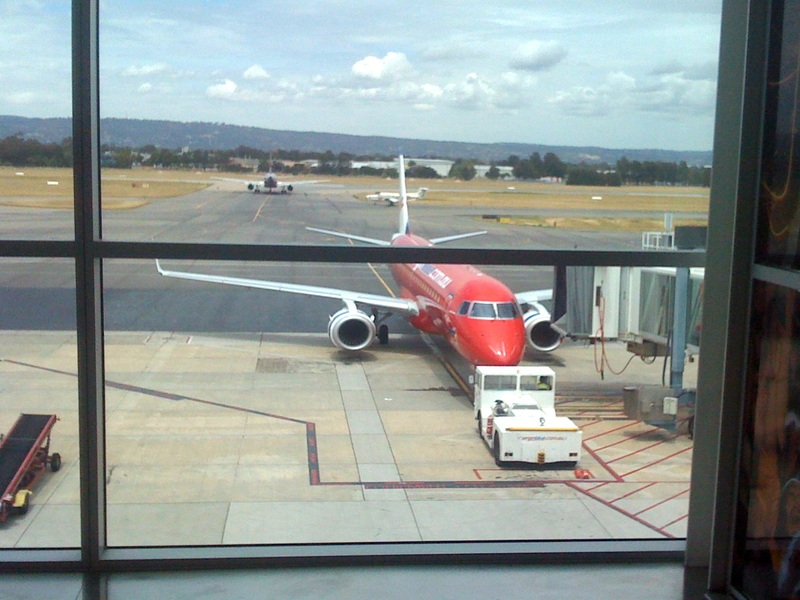 There on the tarmac was Emraer E-Jet operated by Virgin Blue, one of Australia's budget airlines. In the photo above of course is a Boeing 737, and in the distance on the far left hand side you can just make out the skyline of the Adelaide CBD. Nice place :). 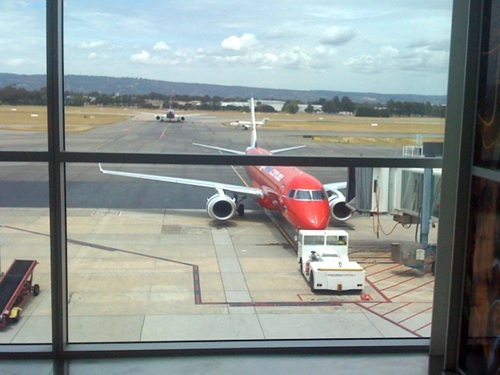 A Virgin Blue 737 Embraer E-Jet. Looks cute! Older post → Ten fresh new Rubenerd Fun Facts!